Styrofoam balls are the foundation of many fantastic crafts projects and decorations. Styrofoam is simple to decorate, yet yields professional looking crafts. A perfect starting point for many fun and beautiful projects. Use as a base for floral arrangements or craft centerpieces. Excellent for science projects, dioramas or holiday decorations. So get out some tissue paper, sequins, paint and glue, and let your creativity start running! Styrofoam balls measure 6". Each pack contains 6 styrofoam balls. 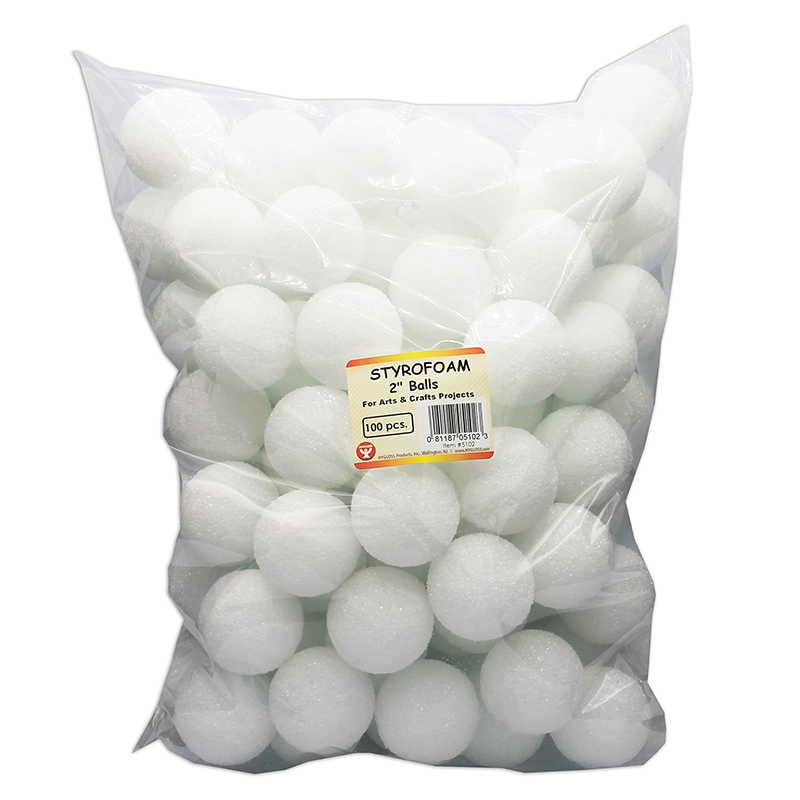 The Styrofoam 6in Balls Pack Of 6 can be found in our Styrofoam product category within the Arts & Crafts. 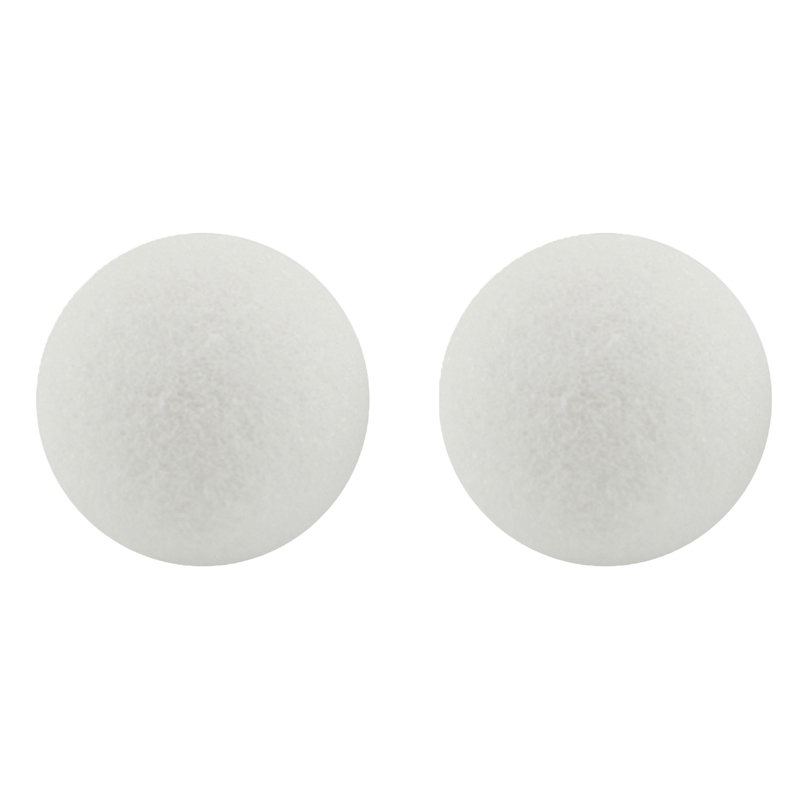 The Hygloss Products White Styrofoam Balls for Arts and Crafts are great craft supplies for teachers, students and anyone that is looking for a versatile and durable Styrofoam ball for their project. Styrofoam is simple to decorate, yet yields professional looking crafts. These white Styrofoam balls come in 7 different sizes: 1, 1.5, 2, 2.5, 3, 4 and 6 inches. There are 12 balls in all the packs, but the 6 inch pack includes 6 balls. These little balls are built to last. They are made from resilient craft Styrofoam. Since they are white, they resemble snow and they also take on other colors well for every season. The possibilities are endless! Use as a base for floral arrangements or craft centerpiece. Get out some paint and glue and let your imagination run wild! These balls come in handy in a wide variety of craft projects. Teachers are always buying more and more of these every year because they use them in a variety of ways. Let your students create unique science projects or dioramas with them. Whether you paint them or use spray paint, they are the perfect size to create a fun model of the solar system. Hygloss Products are proudly made in the USA. The goal is to make sure you are getting a product of unrivaled quality at a great price. WHITE STYROFOAM BALLS – Styrofoam is simple to decorate, yet yields professional looking crafts. 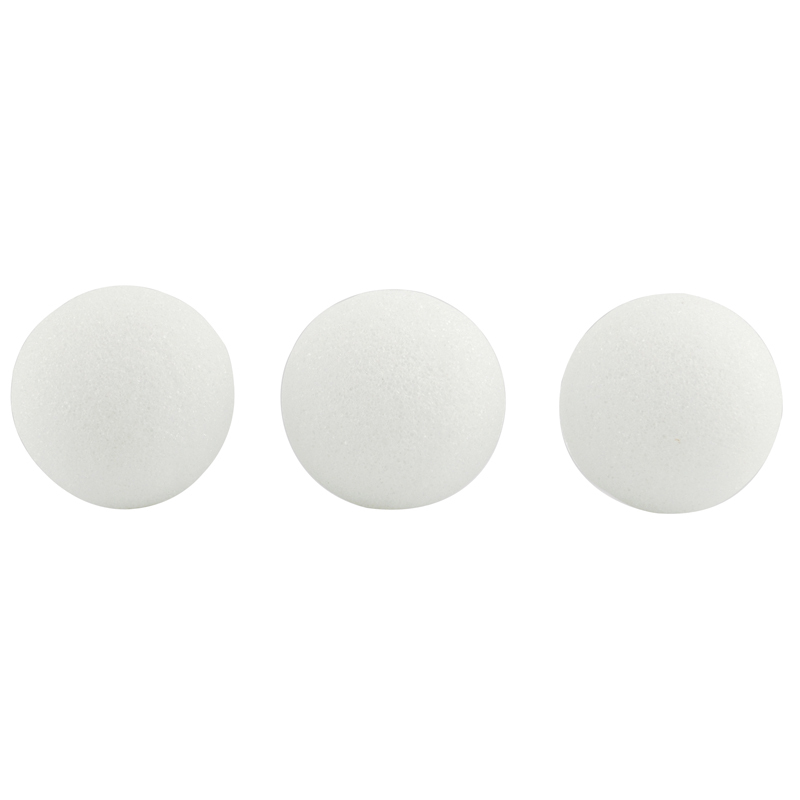 These white Styrofoam balls come in 7 different sizes: 1, 1.5, 2, 2.5, 3, 4 and 6 inches. There are 12 balls in all the packs, but the 6 inch pack includes 6 balls. 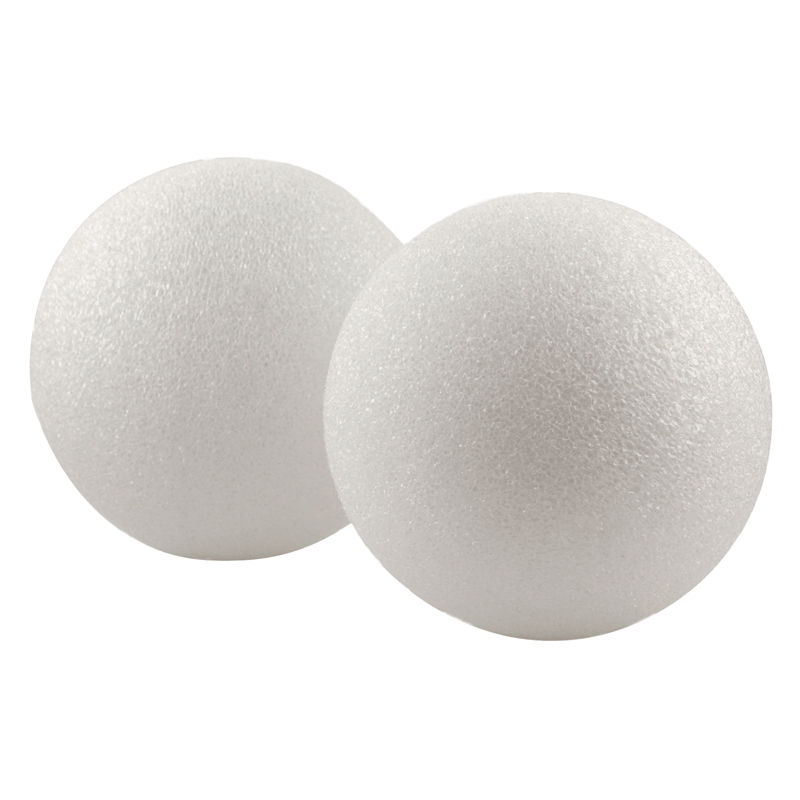 PERFECT FOR HOLIDAY CRAFTS - These styrofoam balls are very sturdy and would be the perfect medium for creating a holiday ornament or craft. Since they are white, they resemble snow and they also take on other colors well for every season. GREAT FOR MANY PROJECTS – Use as a base for floral arrangements or craft centerpiece. Get out some paint and glue and let your imagination run wild! These balls come in handy in a wide variety of craft projects. TEACHERS LOVE THEM – Let your students create unique science projects or dioramas with them. They are the perfect size to paint and create a fun model of the solar system. MADE IN THE USA – Hygloss Products are proudly made in the USA. The goal is to make sure you are getting a product of unrivaled quality at a great price.